QAPonline provides a range of quality assurance programs in Andrology including sperm concentration, motility and morphology. FertAid provides a number of EQA schemes in Embryology including oocyte, pronuclear, cleavage or blastocyst assessments. The schemes involve individual in a QAP group completing a series of assessments that build to both an Internal and External EQA. An EQA sperm devoted to quality assurance for Halsoperm estimation of Sperm DNA Fragmentation. An EQA module for the CASA SCA from MircOptic for concentration adn motility. An EQA scheme for CASA SCA from MicrOptic in Morphology. A 90% discount on the 2012 EQA schemes to encourage international participation. 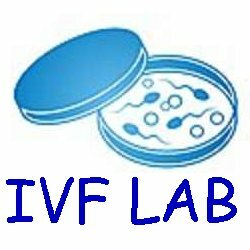 IVFCPD is a new initiative of FertAid and seeks to provide valuable learning tools for Nurses, Counsellors, scientists and medical professional involved in all aspects of human reproduction. Designed for staff using time-lapse imaging such as EmbryoScope. Surveys staff for when critical time points are reached and assessing embryo quality from this format. This module summaries the findings of the 2013 master review of Cochrane observations on Assisted Reproductive Technology. Staff Logbook. FertAid has developed an online activities logbook for all IVF personnel. There is a list of common procedures available but you are able to create a personalized activity list. You may log the number of cases each quarter. IVF ClinicMail is a new module at FertAid where information can be shared. FertAid has developed a testing module called IVF Challenge where 50+ questions are asked about IVF to test your general knowledge about ART. An EQA programme to assess to competency for vitality assessment.